Indore: Prime Minister Narendra Modi on Friday became the first prime minister to address a religious congregation of the Dawoodi Bohra community in Indore. The prime minister met the head of the sect, Dr Syedna Mufaddal Saifuddin, and attended Ashara Mubaraka, which is a gathering organised every year to commemorate Prophet Mohammad and the martyrdom of his grandson Imam Husain. Lok Sabha Speaker Sumitra Mahajan, MP Governor Anandiben Patel and Chief Minister Shivraj Singh Chouhan also attended the event at Saifi Nagar Mosque. 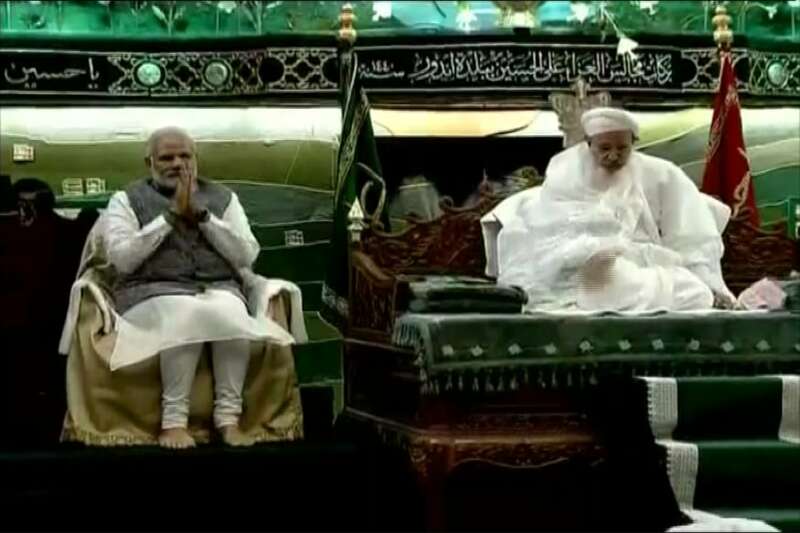 PM Modi’s address was accompanied by a religious sermon or ‘viaz’. For the event, the state government had beefed up security by installing CCTV cameras at the venue. The city was made a no-fly zone for a day and 3,500 police personnel were deployed. DIG Police Harinarayanchari Mishra had told News18 that the venue is under tight vigil and a four-layered security cover had been devised for the PM’s visit. "Anyone visiting the venue were only allowed inside after passing through these layers," he said.